Published on April 4, 2018 in architecture and general info. 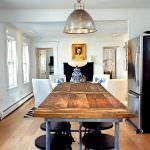 Closed Tags: Cape Cod Luxury condo sales, Cape Cod real estate, Cape cod real estate sales, Provincetown luxury homes, Provincetown new construction, Provincetown real estate. 8 Washington Avenue is a classic Cape in the near East End just off Commercial Street. It has four bedrooms, a den and three baths all in 1,634 square feet. It is being marketed for $1.895M. One of the best!! 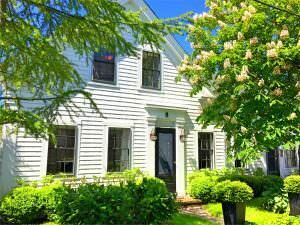 MLS REMARKS: This handsome Classic Antique Provincetown home has been tastefully and thoughtfully updated to make a comfortable, easy to love, spacious home with lots of space for great entertaining. The open plan kitchen, living/great room opens out onto a very private patio, perfect for summer dinner parties, cocktails under the stars or an afternoon basking in the summer sun. 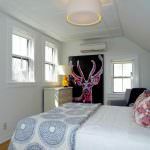 There are four spacious bedrooms, a large den, 3 baths, nooks and crannies, perfect for a momentary escape with a good book or glass of wine – all of this just a half a block to the beach, shopping, fine dining, Provincetown’s world-renowned art galleries, nightlife and the summer ferry from Boston. In addition, there is a storage room that is just screaming to become a cabana/bar that leads onto the private patio. Listing courtesy of Seascape Realty.